Hi, we’re The Pet Shop Boys. Yes, we have many, many lights. How are you? My first job out of high school was driving a delivery van for an electrical supplies company. This involved many hours on the back roads of rural Sweden, with my only companions endless mix tapes. Pretty much all those tapes featured the Pet Shop Boys, who were hitting their zenith in the late ’80s with hits like Opportunities (Let’s Make Lots of Money), West End Girls and Domino Dancing. If you’d told me back then I’d be fat and middle-aged halfway around the world in Phoenix, AZ in 2014 and hearing them perform Opportunities with my daughter, I would have laughed. But here we are. The Electric tour hit Phoenix last night and it was epic. More stripped down than I’d expected, with Tennant singing, Lowe doing whatever it is he does behind a stack of electronics, and two dancers in various more-or-less creepy outfits and headgear. Things got pretty True Detective there for a while. But they made up for it with a massive light show, strategic use of videos and creative use of transparent curtains. As you’d expect from people who have been touring for over 20 years, they know what works and how to make up for the lack of live instrumentation. They’re also smart enough to realize that the vast majority of their audience are middle-aged people who want to relive their clubbing days, so the setlist went heavy on older hits. 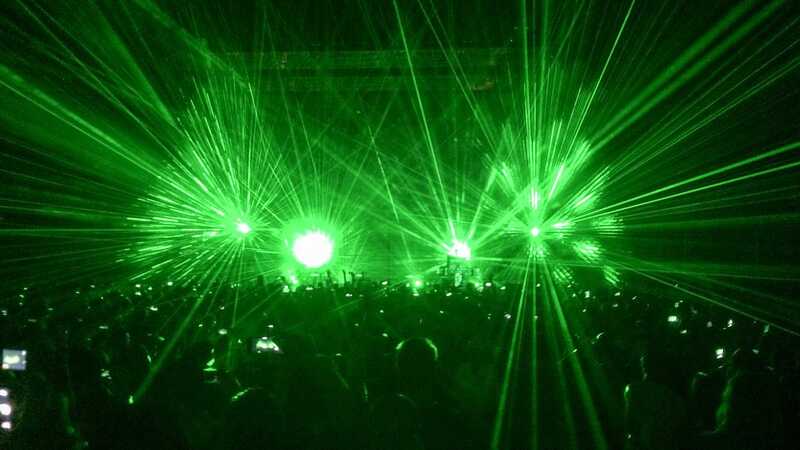 The Pet Shop Boys brought the big lights. Boom. Since the Pet Shop Boys have been huge in the gay community since they started out, I was curious what kind of crowd would come out to the concert. Turns out, a lot of people like my wife and I: Middle-aged people who were into the band back in their clubbing days. I was expecting a lot of gay people, and they were indeed there, lots of middle-aged gay couples. We’re all people and we all like the Pet Shop Boys. It’s not a sin. If you’re into the genre at all, it’s definitely worth seeing the Pet Shop Boys both for the nostalgia and to see the fusion of creativity and road-tested professionalism. It’s a good time. 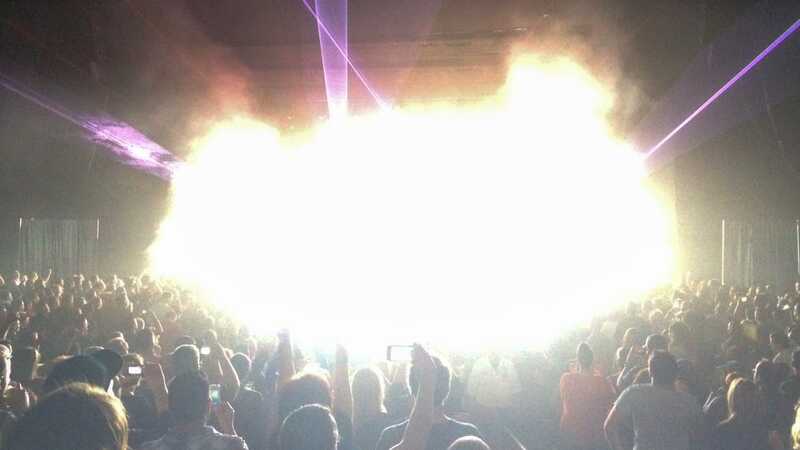 As a postscript I do believe somebody enjoyed the light show more than the rest of the audience: Mid-show I made a pit stop at the bathroom, and it just reeked of weed. Hope you enjoyed the strobes, whoever you are.